Mobile Land Surveying – Page 3 – …local land surveyors in Mobile, Alabama. Land Surveying dates back to ancient history. Surveying is used for multiple projects. A survey is done to establish a specific location of a parcel of land along with its exact acreage. It is used to ascertain boundaries for defining an area of ownership and tax liability. It is also used to identify a piece of property by a written legal description or to provide a review of the accuracy of an existing description. This data is of the utmost importance with regard to buying and selling land, and is also used to insure a clean and marketable title. There are many different kinds of surveys that can be performed. 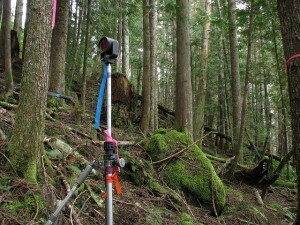 A boundary survey is typically done for undeveloped land. This type of survey measures the actual physical extent of the property in question. Most surveys progress through the basic procedures regardless of the type being done. Any pertinent deeds, contracts, maps or other documents that contain a description of the property’s boundaries are located, studied and interpreted. A determination is made of what the actual property description is deemed to be, along with the locations of any physical evidence of the boundaries. This can be in the form of both natural and man-made monuments or markers that exist in the field. The property is then measured to establish the boundaries, not only using the appropriate existing monuments but with the creation and referencing of new markers where necessary. 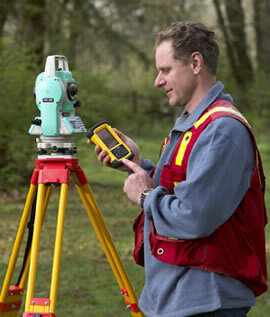 Measurements are accomplished using a total station and other surveying tools. A total station measures both vertical and horizontal angles, as used in triangulation networks. After these steps are accomplished, the property description and plat are prepared. Interpreting the results of a land survey is not as difficult as it may first seem. For instance, a property plat will usually contain a directional orientation which is typically indicated with an arrow pointing north. It will contain the bearing and distance of each boundary line, the property lines of other properties shown on the plat, and the names of adjacent property owners listed in the areas of their property. Corner monuments, along with the names of any natural monuments (such as “Smith’s Creek”, for example) or a brief description of any unnamed natural monuments (such as the “30-inch pine tree”) are on the plat. There is also a title block containing the property’s location and name of owner, the surveyor’s name, the date the survey was performed, the scale of the plat and any other relevant data. If you need the services of a land surveyor, ALWAYS be sure that you’re hiring an experienced, certified, and highly competent professional surveyor. You can find out if the surveyor is licensed by visiting the Board of Licensure’s website. Please contact Brandon Bailey, PLS at (205) 281-2081 or fill in our Contact form to the right of this page. Even though this video is a little old, it’s still a good video about our City. Licensed Land Surveyor: Using GPS to Track You – Is It Real? 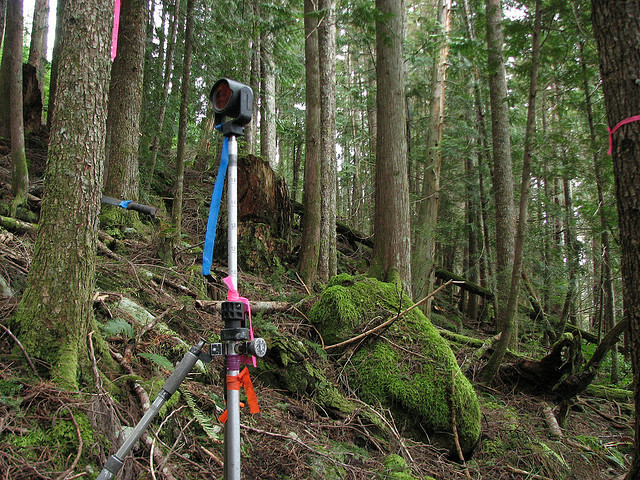 A licensed land surveyor trusts his GPS system like his gun in a battlefield. Though it sometimes do not provide all the info that you may need, it is nonetheless very helpful in producing an accurate boundary survey. Many have heard of “Big Brother” being able to track our movements. One of my favorite TV shows is “Person of Interest” where a secret machine keeps track of all conversations and people’s “criminal intent” in order to help the heroes stop the crimes before they happen. While I’m SURE that there are tracking capabilities in most cell phones and different government agencies CAN track our locations, we might be a ways away them being able to determine criminal intent. But there IS a recent application in England that I found very interesting. Nestle (yes, the chocolate company) is placing GPS Trackers in six KIT KAT bars in their aptly named “We’ll Find You” marketing campaign in the UK. 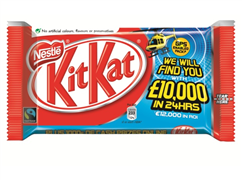 When the person opens the package it notifies KIT KAT and the prize delivery team will find them within 24 hours and present them with a check for £10,000 (about $16,000.) See the article here. Just about all new type cell phones, all smart phones, iPads and other tablets, lots of cars (more than you think), public transportation vehicles, golf carts, and watches have GPS devices in them now days. Another place they are, and rightly so, are in ankle monitors used by law enforcement. But, what you might not realize is that the electronic devices mentioned above can work just like the ankle monitor. Now, while it is true that you can disable the GPS tracking device in your cell phone or tablet, that doesn’t give all of us complete comfort in walking around with these devices on us. Now, I’m not trying to be a conspiracy wonk here, but it is POSSIBLE that this could be taken advantage of by well-meaning agencies. And, as we know, law enforcement can make mistakes in identifying the correct suspect. Of course, as a licensed land surveyor myself, I WANT emergency services to be able to find me if and when I need their service, so this is a double edged sword. Most of us probably have nothing to worry about in this regard, but if you worry about this sort of thing, it could keep you up at night. Even as a licensed land surveyor, having used GPS technology in land surveying for almost 20 years, I still trust them more than I should. One example is when I was in an unfamiliar town my GPS navigation device told me to take a “road” to the right. I slowed down and attempted to turn but it was a power line. Not wanting to believe that Gizell was wrong (yes I named her), I went to the next street and turned and tried to find the “road” further back. I ended up driving down the sandy power line, which turned into a bike lane until I was finally stopped by a gate. As I backed down the bike lane looking for a turn-around spot I thought, “maybe this wasn’t a road and maybe my GPS device is fallible.” Of course, I soon justified Gizell by recalling that a human had to “digitize” the roads in and she just did what they programmed her to do. If you need to turn off your GPS tracking device in order to sleep tonight, call your device’s customer service line and stay away from KIT KAT bars. If you would like to find out how GPS surveying technology can help you in surveying your property boundary, call a Licensed Land Surveyor at T. Brandon Bailey, PLS at (251) 281-2081.